NORMAL – Stepped-up offense and a solid mix of veterans and newcomers highlights the upcoming season of Illinois State men’s basketball. The Redbirds are a week into official practices ahead of the first exhibition game on October 30 at Redbird Arena against Lewis. 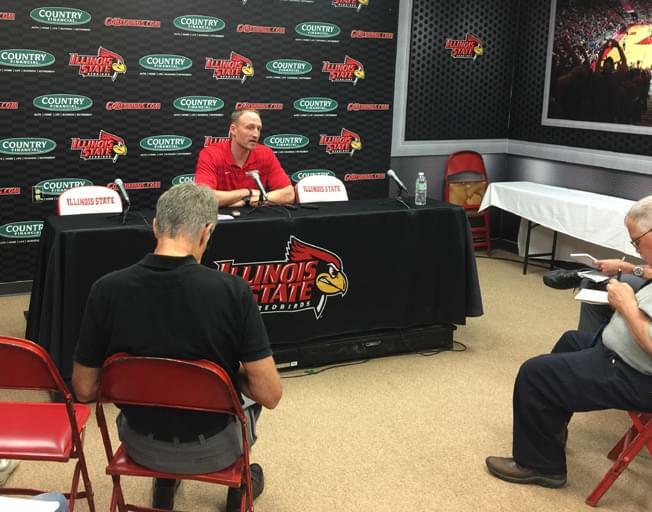 The Redbirds previewed the upcoming season during Wednesday’s annual preseason media day. Seventh-year head coach Dan Muller knows there will be excitement around this year’s Redbirds. The Redbirds welcome back four starters and three top reserves from last season. Muller said the first seven days of practice have shown him that the new faces lend plenty to his experienced team. Illinois State guard Keyshawn Evans anticipates more offensive options with this year’s Redbirds. Illinois State plays two exhibition games at Redbird Arena on Oct. 30 at 7 p.m. against Lewis and on Nov. 3 at 12 p.m. against Augustana. The season opens at home on Nov. 6 against Florida Gulf Coast. 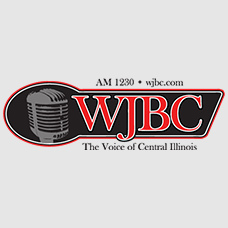 Redbird games can again be heard this season on WJBC-AM 1230, 93.7 Nash Icon, WJBC.com and the WJBC app, and on the TuneIn app under WJBC and the Illinois State Redbirds Sports Network.